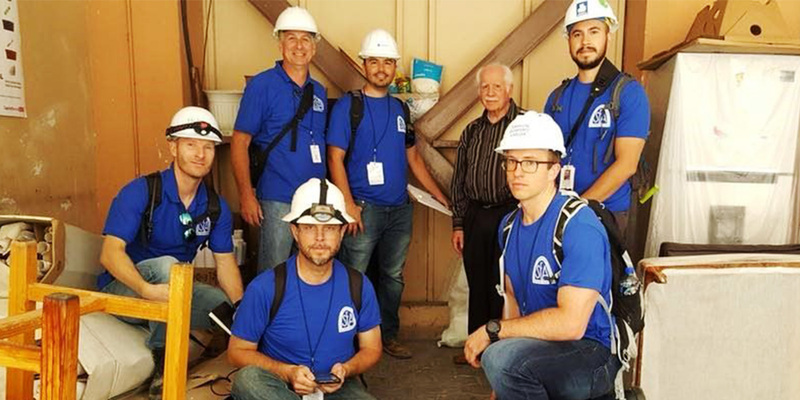 After the magnitude 7.1 Central Mexico Earthquake struck in September 2017, Dion Marriott of Holmes Structures joined the SEAOSC Safer Cities Reconnaissance Team in Mexico City to assess the extent of structural damage and strategize for building resiliency. 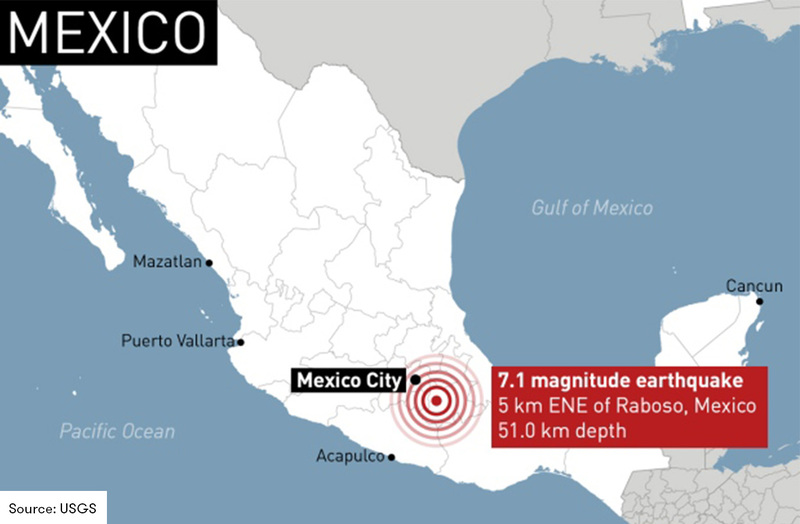 On September 19, 2017, the magnitude 7.1 Central Mexico Earthquake struck Mexico City and the surrounding states of Puebla and Morelos, resulting in over 350 deaths and the collapse of over 40 buildings. This earthquake was the most significant (in terms of ground motion intensity) to rattle Mexico City since a magnitude 8.0 earthquake struck eerily on the very same date in 1985, claiming the lives of some 19,000 people. 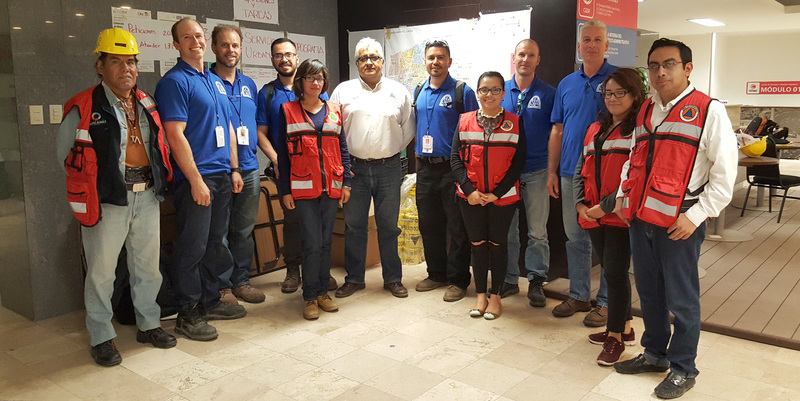 In response, the Structural Engineers Association of Southern California (SEAOSC) sent a team of engineers to Mexico City to assess the extent of structural damage and strategize for building resiliency in the event of future earthquakes. Dion Marriott of Holmes Structures was a part of the SEAOSC Safer Cities Reconnaissance Team and its journey. Mexico City is situated on an old lake bed, so its buildings are founded on soft clay. The long-term effects of buildings founded on Mexico City’s soft clay was clearly evident throughout the city considering sustained gravity loads (self-weight) alone, let alone earthquake-induced settlements. It was very common to either, step down from the street to the entrance of a building (for buildings founded on shallow foundations), or to step up from the street to the entrance of a building (for buildings founded on piles). Taller buildings (>6 stories) were often founded on friction piles, while shorter buildings (<4 stories) were typically founded on shallow foundations. Local engineers and seismologists dismissed the public’s misconception that buildings that had performed well during the 1985 event would also perform well in future earthquakes— including the September 19, 2017 event. This dismissal was grounded on two key parameters: the different source-to-site distance for the two earthquake events (120km vs. 400km) and the smaller moment magnitude (Mw 7.1 vs. Mw 8.0). The combination of these two parameters (at least) led the 2017 event to excite a different suite of buildings when compared to those buildings that experienced damage during the 1985 event. Buildings four to eight stories tall, located on approximately 20m of soil experienced the greatest level of structural excitation, and thus accounted for the vast majority of buildings with poorer structural performance. These same buildings did not necessarily experience strong ground shaking during the 1985 event. 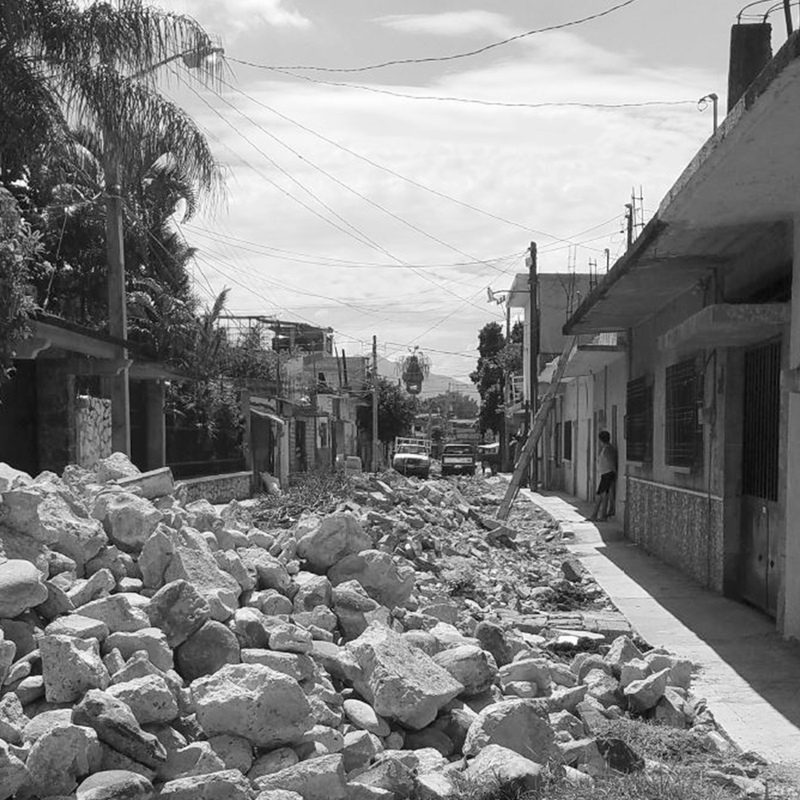 As a result, building damage in Mexico City was confined to pockets of damage scattered throughout the zones of amplified soil response. It was not uncommon to observe buildings that had significant damage located to adjacent buildings of a similar vintage with minimal damage. 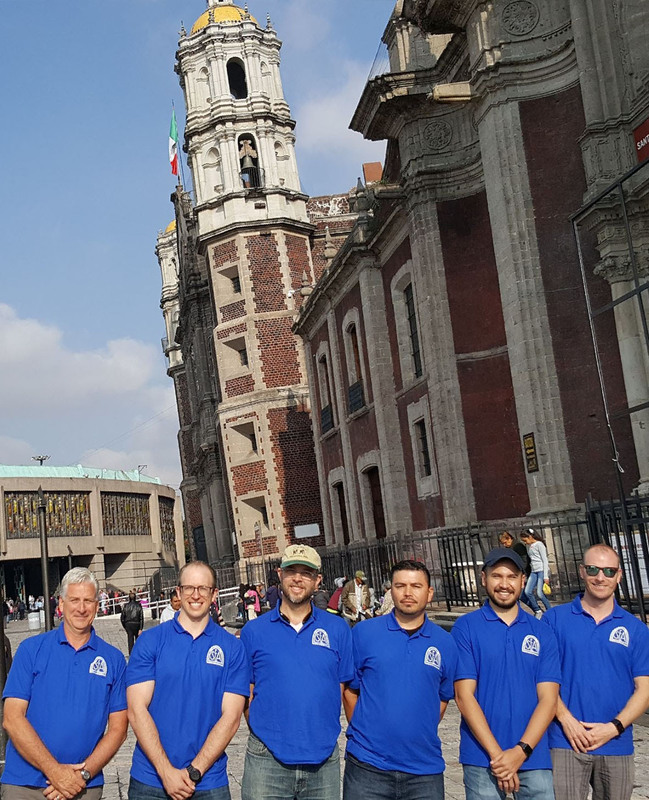 The majority of buildings that the SEAOSC Safer Cities Reconnaissance Team visited were smaller-scale commercial buildings constructed in Mexico City (outside of Downtown). They were typically reinforced concrete column and flat slab construction (and in some cases perimeter beams) with Unreinforced Masonry (URM) infill above the first floor. On the ground floor, these buildings were generally open on one or more sides presenting a clear weak/soft-story and/or torsional irregularity (this was particularly the case for corner buildings). Local engineers advised the Safer Cities Reconnaissance Team that the URM was not relied on for lateral resistance, but no effort was made to prevent the URM from interacting with the surrounding frame, or to account for the vertical strength discontinuity at the first floor. For soft-story buildings that did not experience collapse, building damage was often comprised of column shear compression failure of the first floor columns, combined with diagonal and bed joint shear failure of URM infills, often followed by complete out of plane failure of the infill. In older (typically pre-1985) construction with smaller concrete members, diagonal shear failure of URM infill often extended through the concrete columns. For many buildings, damage was confined entirely to URM infills that had absorbed the earthquake’s energy (while the surrounding frames showed only minimal signs of distress). For many rebuilding efforts, this damaged URM infill was simply removed and reconstructed to return a building close to its pre-earthquake state. 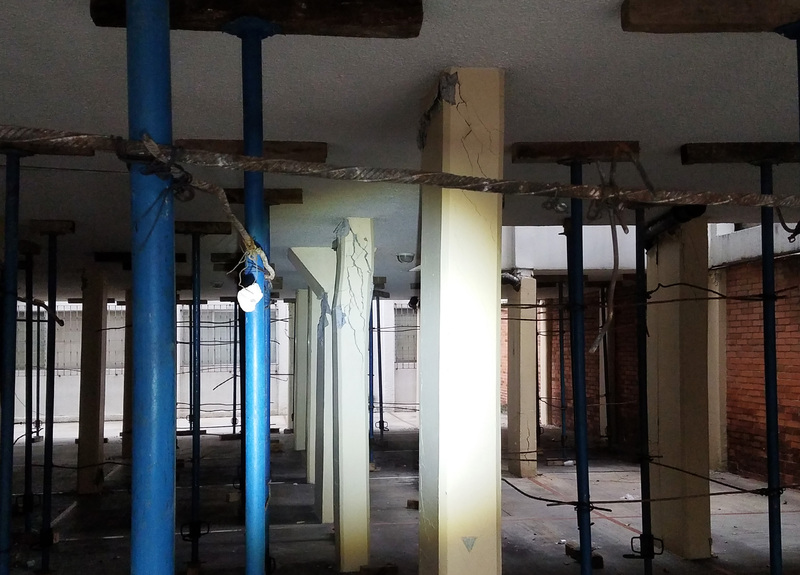 While URM may provide a form of energy dissipation, it poses a significant life safety risk: as a brittle material, URM infills are more likely to dislodge from a building after they have experienced significant damage and fall dangerously onto their surroundings below. Retrofit buildings had mixed success withstanding the September 19, 2017 earthquake. The most common form of retrofit involved steel braced frames located on the building’s exterior. Where the retrofit was well-designed and constructed, the building often performed well. Retrofits that did not perform adequately were often let down by the failure of connections between the new and existing structure. Resilience was also a big focus of the reconnaissance – what factors dictated the speed of recovery in an area hit by an earthquake? 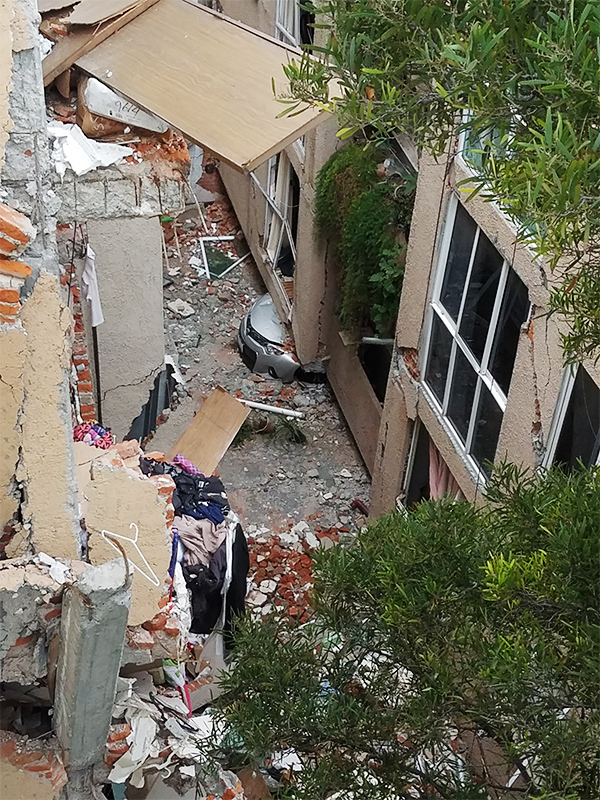 For Mexico City, the speed of recovery is in part related to the engineering resources available to inspect and evaluate its large inventory of damaged buildings. Conservative and rapid red/yellow tagged building evaluations left many residents living on the streets. 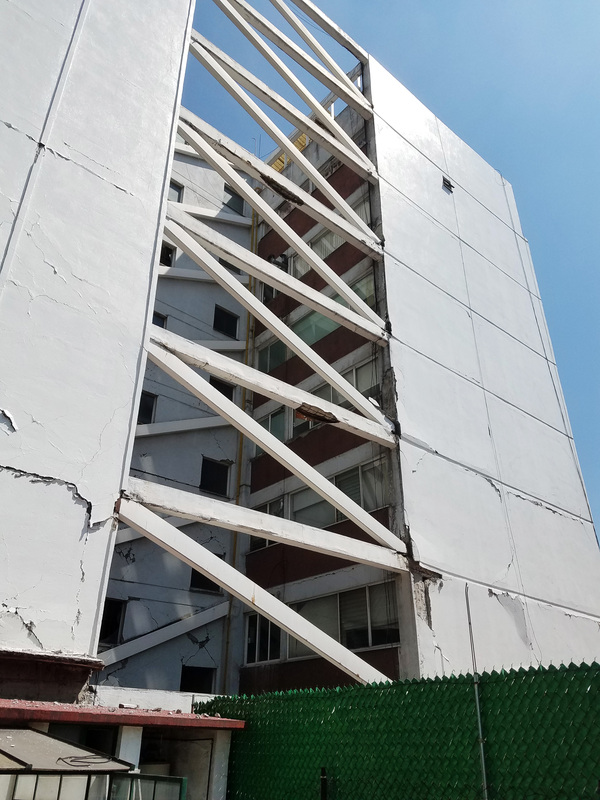 Where building damage was significant enough to require tenant evacuation, it was imperative that engineers and building officials communicate with owners and tenants, providing them with the information necessary to facilitate repairs, or deconstruction and rebuild. 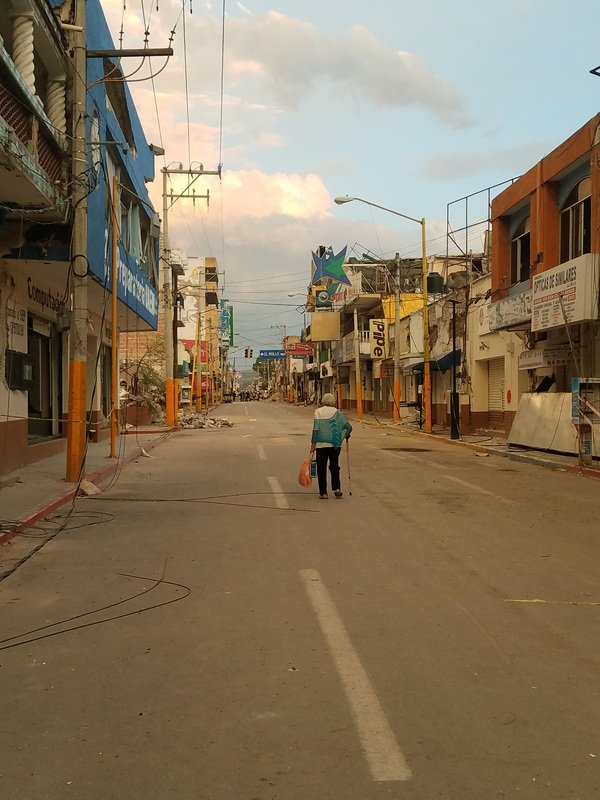 In the smaller town of Jojutla, a community that is heavily reliant on the efforts of volunteers, residents seem to be very much on their own in terms of any rebuild efforts. The resiliency of this smaller community was not let down by its essential services, but rather by the complete closure of its main business district which resulted in economic destabilization of the town. 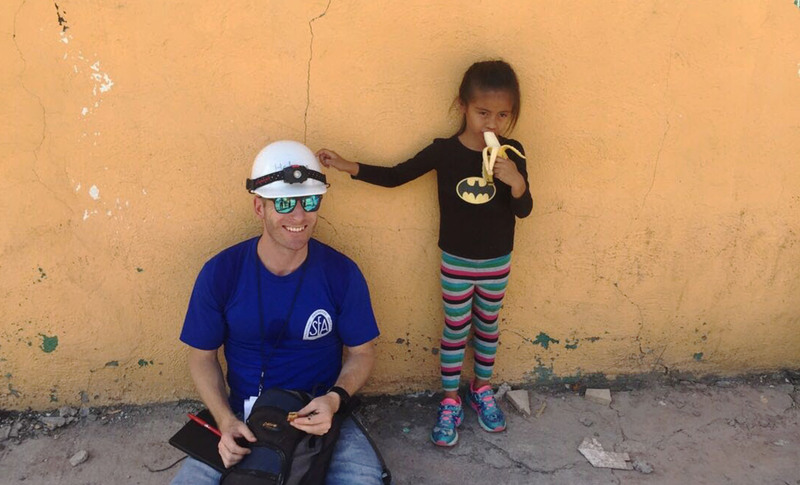 The road to recovery for Jojutla depends in part on the speed at which its main business district is rebuilt. Overall, this reconnaissance trip was dynamic, educational, and at times somber. Dion sends a huge thanks to SEAOSC for funding the trip and providing him with such a unique opportunity to learn from a great team of engineers.